- As you progress through to ever increasing motorcycle capacities, formal coaching on that capacity bike is required. - Key competencies achieved in coaching must be signed off in a log book by the coach. - Log books are approved by your SCB and a new card will be issued with the new endorsement on it. This licence allows you to participate in all state-wide and nation-wide events that are permitted by MA. Once your application is complete and approved by the SCB, you will receive your licence via post within 14 days. Your licence is required to be showed at every event at sign on. For all license inquires you State Controlling Body (SCB) is the place to go for important information. Each club in is affiliation with the SCB’s, and every aspiring license holder must first join a club to begin the process. 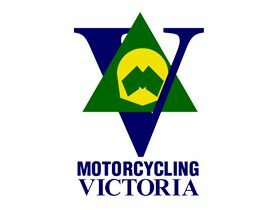 The States issue your license on behalf of Motorcycling Australia, which allows each individual rider to compete Nationally. Ridernet is an online site used to collate all information from the SCB’s in to one place, provided by Motorcycling Australia.